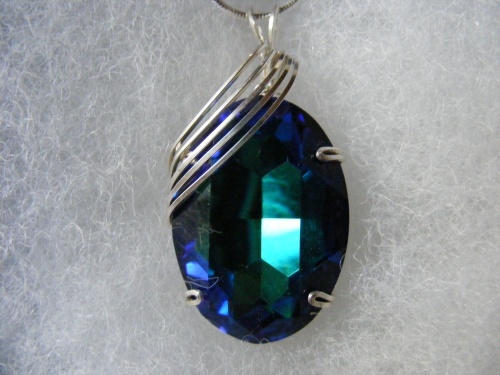 This beautiful vintage Swarovski Austrian TCrystal is striking with its colors of blues and purples. So mesmerizing when you look into it. Crystal is circa 1950 and rare. Measures 1 3/4" from top of bail to bottom and 1" wide. Comes with a sterling silver snake chain.